On Monday afternoon, Fox News put up a map of the location of Japan's nuclear plants, due to the increased fears of nuclear meltdown in the country. As Media Matters, which snagged a screengrab of the map, noted, one of the supposed plants--called "Shibuyaeggman"-- didn't seem to show up on any official map or list of the country's nuclear facilities. Media Matters did some snooping and discovered that, while there does not appear to be any nuclear plant with that name, there is a nightclub called Eggman in the Tokyo district of Shibuya. 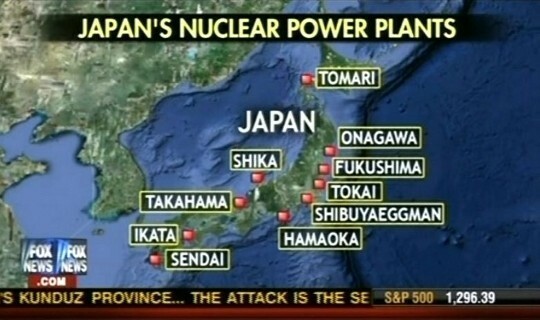 The seemingly erroneous plant on the Fox News map had also been placed in Tokyo.